The IFA 2013 is just a few days away and the mobile industry is ready to burst with all the new stuff coming from different manufacturers all over the world. In this week’s edition of Mobile Mondays, we’ll be taking a look at the first three brands that made some buzz this past weekend. First on our list are two mobile phones from French-Chinese joint venture Alcatel. Yesterday, two new handsets quietly appeared on the company’s website under Alcatel’s line of One Touch Android smartphones – the Alcatel One Touch Idol S and OT Idol Mini. The Alcatel One Touch S features a 4.7-inch IPS display with a resolution of 720 x 1280 pixesl and is powered by a 1.2GHz dual-core processor, 1GB of RAM and 4GB of internal storage that can be expanded via a microSD cards slot. The phone also features an 8MP camera at the back, which is capable of recording 1080p videos at 30fps; and a 1.3MP front-facing snapper for self-portraits and video calls. The phone will be available in a number of colour combinations including Slate, Fresh Rose and Cherry Red. 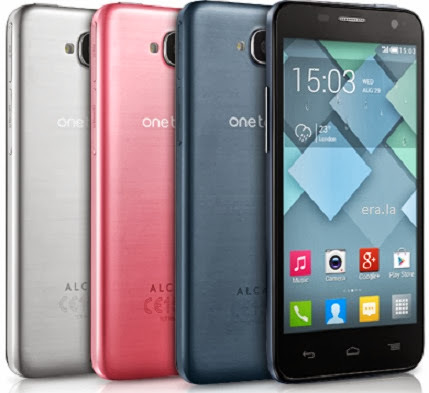 Also new on Alcatel’s line-up is the Idol Mini. The handset is an entry-level phone in contrast to other “Mini” phones from HTC and Samsung. The phone packs a 4.3-inch display with a resolution of 480 x 854 pixels and sports a 1.3GHz dual-core processor, 512MB of RAM, 4GB of on-board storage with microSD card support and a 5MP rear camera. The Idol Mini comes with HSPA+ connectivity, A-GPS, Bluetooth v4.0, Wi-Fi and will be offered in a dual-SIM version. The phone will also be offered in different colour options including Cranberry Pink, Silver and Slate. Both handsets will run on Android 4.2 Jelly Bean, with pricing and availability to be announced at a later date. Meanwhile, images of the successor of the PadFone Infinity smartphone from Asus have been spotted online. Based on the leaked images, the PadFone Infinity A86 (the current model is A80) looks identical to the current model but differs mainly with its specs. The new PadFone Infinity is said to pack a Qualcomm Snapdragon 800 chip and a new all-white design. The new model will be backwards compatible with the tablet dock for the current Infinity model and will sell for around AU$1800. Last but certainly not the least is LG’s newest tablet – the G Pad 8.3. 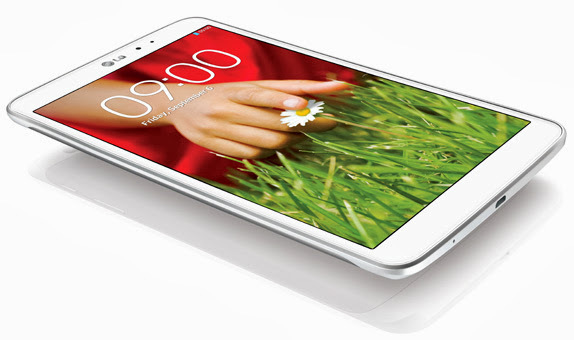 As the name implies, the tablet will sport an 8.3-inch screen with WUXGA resolution. The tablet will have a 1.7GHz quad-core processor, 2GB of RAM and 16GB of on-board storage on a Qualcomm Snapdragon 600 chip. There will be two cameras on the device – a 5MP at the back and a 1.3MP at the front. The tablet will be powered by a 4600mAh battery and will run on Android 4.2.2 Jelly Bean. Moreover, the G Pad 8.3 will have a number of software improvements from LG including multitasking features called Slide Aside and QSlide; and motion control functionality called Knock On. The LG G Pad 8.3 will be available in either white or black and will be available by Q4 2013.